The Science Behind Temple BELLS!! Most of the old temples have large bell at the entrance of the temple and you need to ring it before you enter temple. A Temple bell have a scientific phenomena; it is not just your ordinary metal. It is made of various metals including cadmium, lead, copper, zinc, nickel, chromium and manganese. The proportion at which each one of them mixed is real science behind a bell. Each of these bells is made to produce such a distinct sound that it can create unity of your left andright brain. 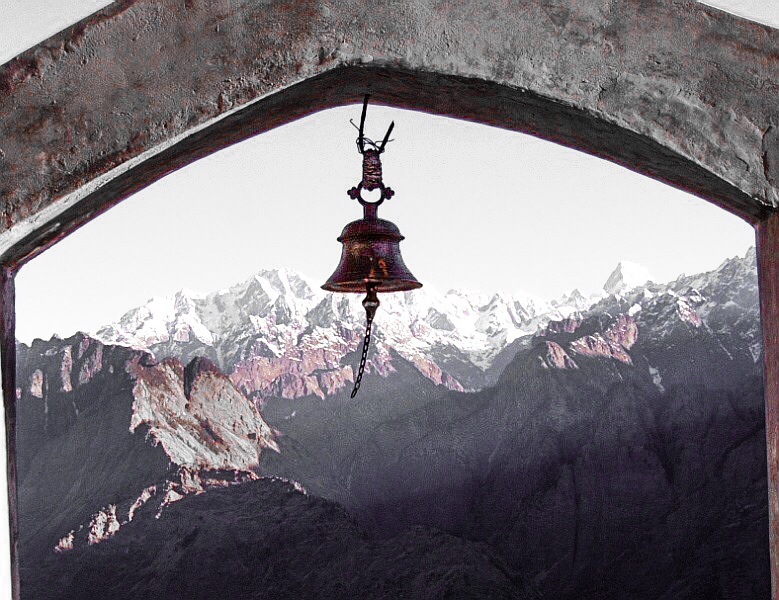 The moment you ring that bell, bell produces sharp but lastingsound which lasts for minimum of seven seconds in echo mode good enough totouch your seven healing centres or chakras in your body. The moment bell sound happens your brain is emptied of all thoughts. Invariably you will enter state of Tran’s state where you are very receptive. This Trans state is the one with awareness. You are so occupied in mind that only way to awaken you is with a Shock! Bell works as Anti-dote to your mind. Before you enter temple – to awake you and prepare you for taste of awareness is the real reason behind temple bell. ‹ PreviousWhy do we have a prayer room?